St Kitts or Nevis islands are major shopping destinations, but you will find some of the most interesting small boutique shops, markets and quaint traditional island shops for Caribbean trinkets and tourist presents. There are still places to get that perfect island outfit for a special night of swim wear for the beach. Whatever you really want to shop for you will find it here, if you can drag yourself away from the beach or local island beach hut and your favorite drink. If you have any places you love to shop at and we haven't listed them yet, we would love to hear about them. Simply write to us at info@coldwellbankerstkittsnevis.com and tell us, we will be happy to add it to our growing shopping guide for the islands. This shopping center is close to the cruise ship dock and has been designed to look like a traditional Caribbean street, its 2 floors are filled with clothes shops, jewelry shops souvenir shops and duty free shops. The mall also has banking services, a restaurant, tourism offices and a bandstand near to the cruise ship pier. This is the number one place to go for classic clothing designs, this classy boutique sells everything from swimwear to blouses, dresses, bags and unusual T-shirts. 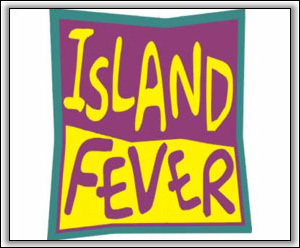 Island Fever stocks locally designed and crafted items which are perfect for gifts for family and friends back home. This gallery is owned by local; Rosey Cameron Smith who has lived and worked in St Kitts since 1978, she has succeeded in reflecting the charm and beauty of St Kitts and Nevis on paper and canvas. 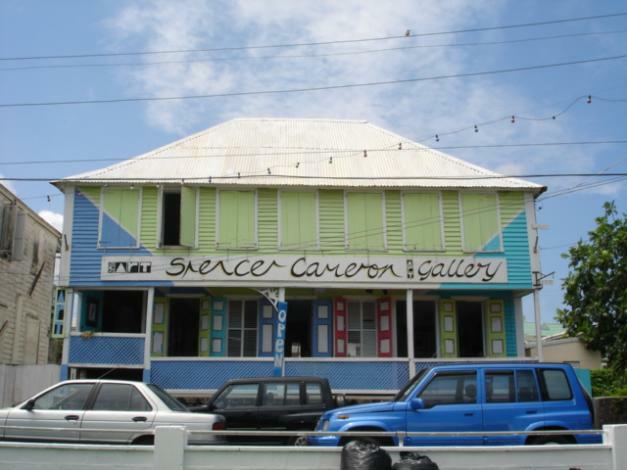 The Spencer Cameron Art Gallery sells the unique art of Rosey Cameron in addition to historical reproductions of Caribbean island charts and prints. The traditional art of pottery has been kept alive by the owners of this shop, you can watch the potters make a wide range of items from simple ashtrays to serving dishes. Given enough time the potters will be happy to make a custom item for you to take a unique piece of Nevis home with you. 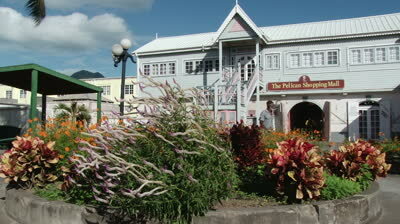 All items in the shop are made traditionally with Nevis clay fired over coconut husks. This shop had recently been refurbished and it is now much easier to access the selection of fine products. Although there are several other Ram's, this store is the one that sells quality leather bags and wallets along with beautiful jewelry, crystal, silver and locally designed art. 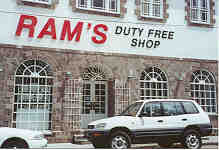 The shop also stocks a large variety of perfumes and fragrances for men all at great prices and duty free.